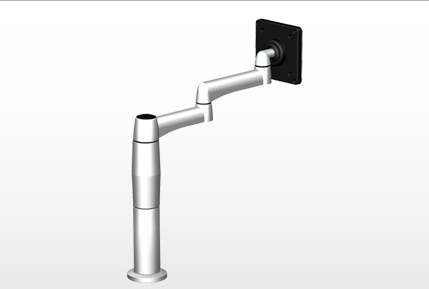 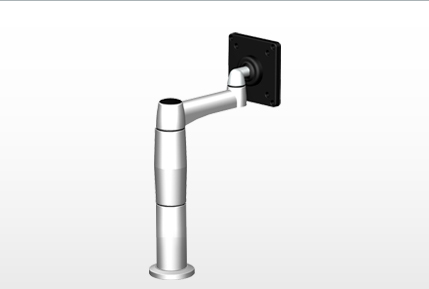 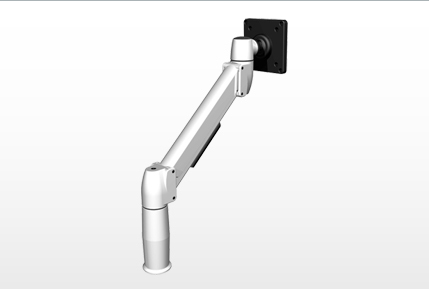 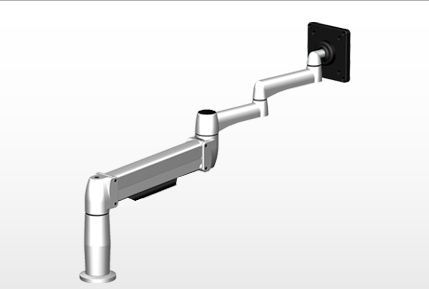 The Standard Monitor Arm provides ergonomic and usable workspace for single monitor applications. 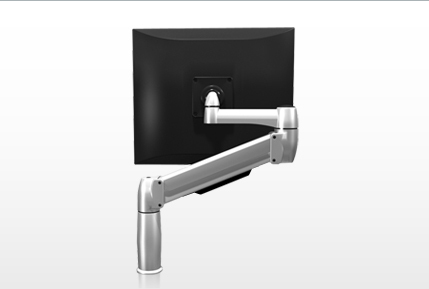 The Double Monitor Arm provides ergonomic and usable workspace for combining two monitors. 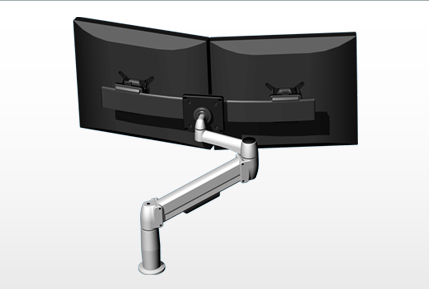 The Monitor + Laptop Arm provides ergonomic and usable workspace for combining a monitor with your laptop. 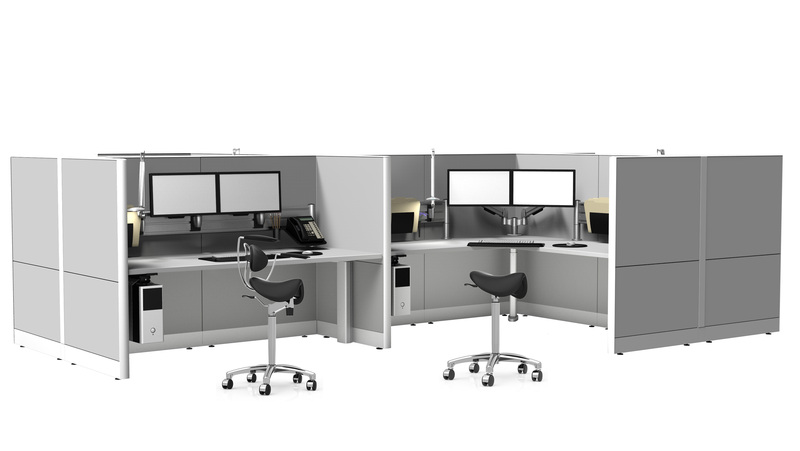 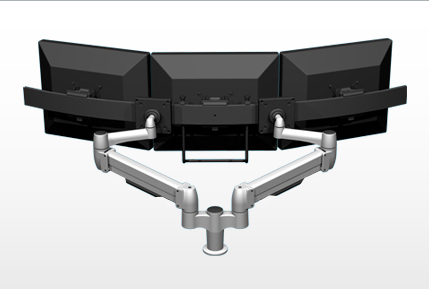 The Tiered Arm solution provides ergonomic and usable workspace for up to eight monitors with individual monitor range of motion and articulation in a tiered configuration. 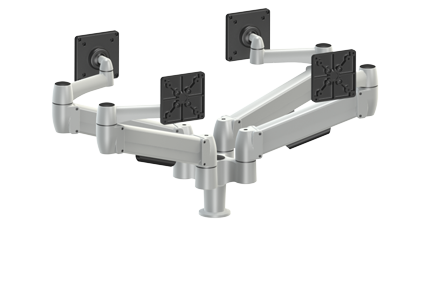 The Triple Monitor Arm solution provides ergonomic and usable workspace for three monitors with individual monitor range of motion and articulation. 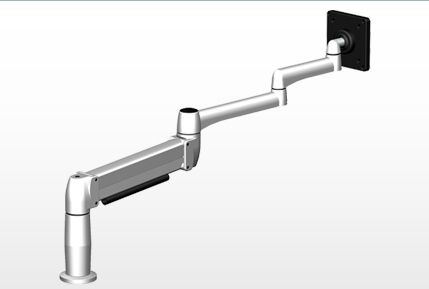 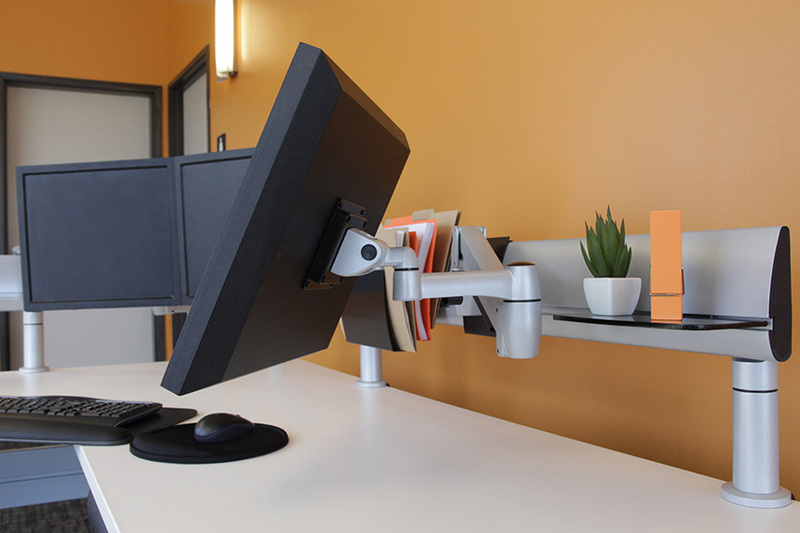 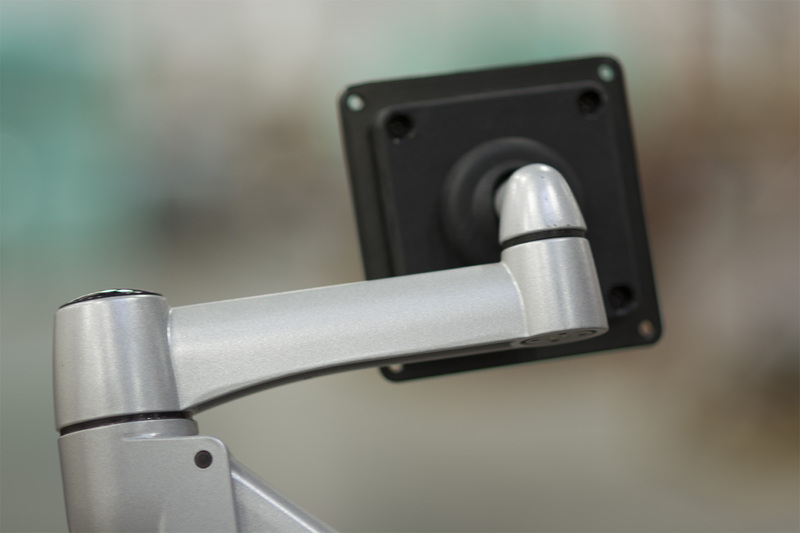 The Monitor Arm Rail provides ergonomic and usable workspace with fixed monitor alignment and vertical height adjustment. 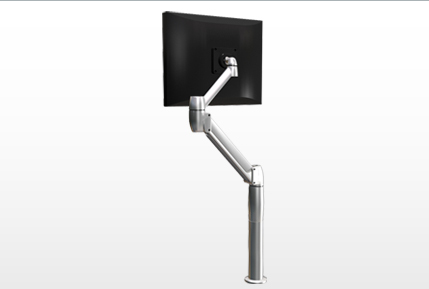 • Technology - Flexible and adaptable for the inevitable change. 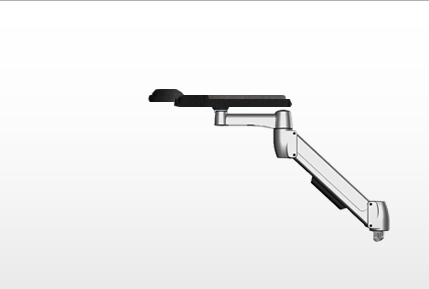 As your technology needs change, so will the SpaceArm.